I will introduce my favourite poet from Senzaki in Yamaguchi. Her name is Misuzu Kaneko and she wrote over 500 poems in her short life from 1903 to 1930. Senzaki is a fishing village, relying particularly on catches of Japanese sardine and whale. Scenes of fishing and the sea often make appearances in her poems. After she died, her poems were forgotten for many years but Setuo Yazaki, a collector of her poems republished them in 1984. Shortly after the Tokyo University used her poems in their entry exams and nowadays her poems are also used in Japanese textbook at primary school. 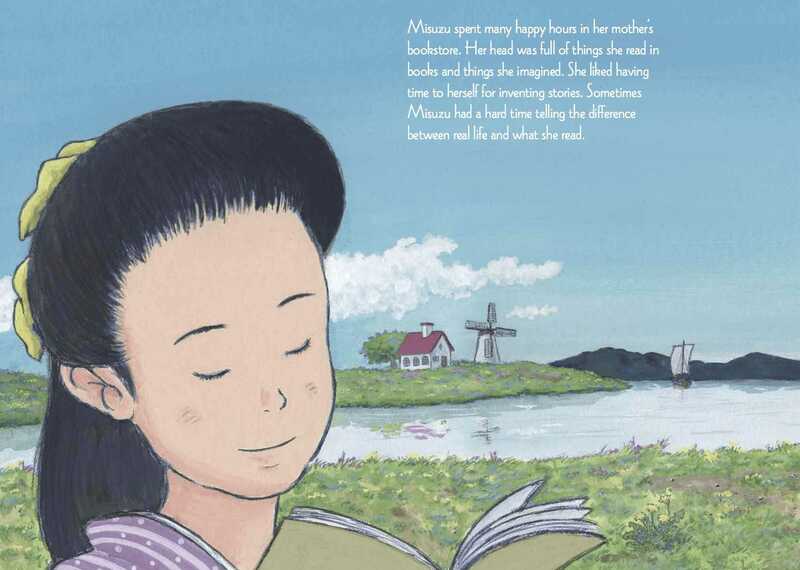 Needless to say, I have read her poems as a child and was given Misuzu’s books for a birthday present from my mother. I visited Misuzu Kaneko memorial hall and watched the drama about her life. I like her poems, because she can think about such small things in life, the fish, snow and trees change your perception towards them giving me more of an open mind and a feeling of sympathy from her poems. When I was a child and still today I am the person who keeps wondering about everything in life and ask, Why? Why? and Why? The answer, is ” why not?” or “that is nature” but these answers never seem to satisfy me. I remember my childhood memories of feeling different than other people felt. When we were studying about stars at school we learnt that even we could see the star right now the star might not exist anymore. I was just like “Wow! How does it happen! So cool!” and could not stop asking the question, why? Full well knowing the reason, yet could not stop wondering. Don’t you think how fantastic that is too? Everybody would comment and say “why is it such a wonder, it’s a natural occurrence”, continue to look at me oddly, like I was a crazy or weird child. Yes, sure! Perhaps I was but I did not understand why everybody could not think like I did. That day, after school I read one of Misuzu’s poems “FUSHIGI”. I felt she could understand my feeling, she could recognise me like I was her, she was me. Since then “FUSHIGI” is my favourite poem. She wrote a lot of wonderful poems so if you would like to read them, please google her. I hope you will like her poems as much as I do.